Residential Roofing Winnipeg | Home | Lansard Bros. Roofing Ltd.
We have grown over the years to become one of the most trusted and dependable exterior contracting companies in Manitoba. 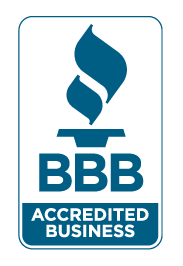 We believe that the customer confidence and loyalty we have earned from Manitobans in the residential and commercial markets is a reflection of our commitment to integrity and honesty in every project from start to finish. One of the keys to our success has always been our ongoing commitment to researching and developing the most effective materials and work practices in order to provide the best quality materials, service and workmanship possible. Not only did they provide a full estimate, they came out and inspected the roof before providing an estimate – few other companies offered this service. Lansard Bros Roofing is a first class roofing company that delivered everything they said they would. From customer service to quality of work, we would highly recommend them to friends and neighbors. From beginning the job to clean up after, I am so impressed with the work done by Lansard. I will recommend them to anyone wanting a quality professionally done roof. Thank you Lansard. Reliable roof system inspections and comprehensive repairs. Avoid exterior and interior damages thanks to our professionals. We provide installation and repair services, as well as useful tips.